Free initial consultation with one of our experts! Our Sydney legal practice at Unified Lawyers has got you covered. We have expert legal agents and lawyers ready and keen to help you. We provide a wide range of court agency services to people and businesses. We are not a faceless law firm corporation. Our law firm is one of the fastest-growing local companies to date. We deliver a wide range of Sydney court agent services to individuals and businesses with guaranteed availability and same-day updates. We are always available to provide our clients with same-day updates. We provide high-quality service. This has seen us become one of the fastest-growing local law firms. Right from our first meeting, you’ll find that we take a hands-on approach. We’re not a faceless law firm. We’ll take the time to understand your situation. 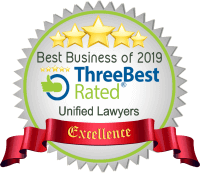 We’ll maintain that personal connection when taking care of all your legal needs. Whether its representing you or your business, we can provide legal aid wherever you are in Australia. We can also help if you’re a lawyer, solicitor or conveyancing service that’s overloaded with work. We’re available to lend a hand so your clients get the outcomes they want. A state-of-the-art booking system. All you need to do is fill out a simple form with your personal/business information and court location. You can provide us with any special instructions we need to get started. Full support in local courts. At Unified Lawyers, we believe that working together is crucial. We ensure that we cooperate with you and your team throughout the legal process. Our conduct is always ethical, and we will represent your best interests. Representation. Do you have any special guidelines for your upcoming court mention? We’ll make sure we follow them when representing you. Real-time updates. We know you’ll want to find out what’s happening in court if you’re not around. We’ll keep you posted. Same-day detailed reporting. We’ll send you a detailed record of proceedings at the end of each day. That way, you can make sure things went according to plan. A proven approach. We provide a high-quality service. We strive to succeed through cooperating with you. Cost-effective legal services. Unified Lawyers offers simplified quotes for the cost of our legal services. Our fees are very reasonable for the expertise we provide. We’ll be available to attend all your Sydney court appearances. Below is a brief explanation of common legal events and when they occur. Court Mentions: This includes any matters listed in a court or tribunal. We will represent you in front of registrar, assessor, tribunal member, magistrate or judge. Pre-Trial Reviews: A pre-trial review is a specific type of mention. It happens about 6 weeks after the filing of a defence. Defence Call-Overs: This happens on a date set by the General Division of the Local Court of New South Wales. Reviews: Both parties provide a civil listing advice at a review. The magistrate checks to see if there are any outstanding issues. These will need to be addressed before legal proceedings can commence. Status Conferences: This is a court-ordered meeting. Both parties must have received sufficient instructions, so the magistrate can set the hearing or arbitration date. Pre-Trial Conferences: In some liquidated claims, the matter will have a pre-trial conference. This happens when a defendant has filed their defence and any cross-claim. Directions Hearings: This is where a magistrate provides directions to help a hearing proceed as quickly as possible. Mediations and Hearings: In NSW, NCAT can help the parties to resolve a dispute before it proceeds to a hearing. Tribunals are less formal than courts. However, if NCAT fails to resolve the matter, it will proceed to a hearing. Settled Matters: It is common for matters to settle between the parties prior to a hearing date. If a matter has settled, the parties or their solicitors must inform the relevant court or tribunal. Adjournments: If one party is not ready to proceed to the hearing, they can apply to have the matter adjourned. They must provide acceptable reasons for the request. The presiding judge or tribunal member will decide whether to grant the adjournment. Returns of Subpoenas: A subpoena is a court document issued on a person or entity. Subpoenas are often used to request the production of documents as evidence. In addition, we can represent you in any Sydney Tribunal or Commission. We can also appear on your behalf at any Sydney Small Claims Court. Small claims include any disputes less than $10,000 in value. Do you need someone to accompany your client to Sydney’s CBD or suburban legal proceedings? Contact our legal agents today to take advantage of our expert services and competitive fees! Conveyancing Services: Whether you’re buying, selling, or leasing, we can provide you with expert property law advice. We are familiar with Sydney’s property market. In addition, we can help you to oppose property development applications if necessary. Family Law Advice: Our team can help you with family law advice for divorce, custody and property settlement issues. We’ll provide you with caring and personal service. Migration Advice: We have Sydney’s best immigration lawyers. They can advise you on migrant visa or citizenship applications and issues. Wills & Estates: We have the expertise to assist you with estate planning. We can also help you to administrate an estate.